Beginning with an ode to John Cage’s seminal silent composition 4’33”, the sights and sounds of this film delicately interweave with silence to create a contemplative and cinematic experience that works its way through frantic minds and into the quiet spaces of hearts. 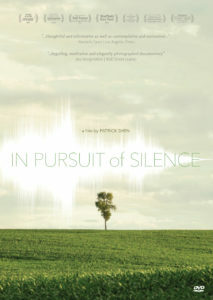 As much a work of devotion as it is a documentary, In Pursuit of Silence is a meditative exploration of our relationship with silence and the impact of noise on our lives. 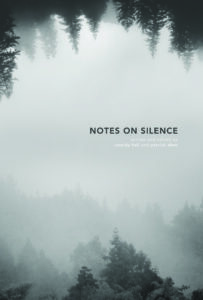 From the Desert Fathers and mothers of the third century AD who became a model for early Christian monasticism to John Cage’s 4’33” which would go onto inspire a generation of artists, humankind has had a long fascination with silence. Yet in our race towards modernity, amidst all the technological innovation and the rapid growth of our cities, silence is now quickly passing into legend. From causing aggressive behavior to hundreds of thousands of heart attacks around the world, there is no aspect of human life that noise does not infringe upon. Silence as a resource for respite and renewal from the sensory onslaught of our modern lives is now more important than ever before. • Opened in theaters in the U.S., U.K., Belgium, Netherlands, Germany, Japan, Switzerland, and Luxembourg in 2016-2018. • Now available on iTunes, Vimeo on Demand, and DVD/Blu-Ray. “★★★★★ — Simply watching it is a self-fulfilling prophesy, its gentle soundtrack creating one of the most blissful viewing experiences of the year.” -City A.M.